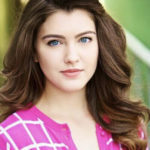 Do you have questions you want answers to? Are you seeking peace, comfort, or guidance? Then watch general conference! 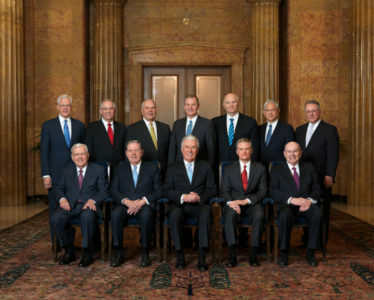 The First Presidency, the Quorum of the Twelve Apostles, and other General Authorities and Officers of The Church of Jesus Christ of Latter-day Saints will address more than 16 million members and deliver inspirational messages. Before watching general conference, try having a special fast accompanied by sincere prayer. If there’s a challenge you’re facing, fasting can help open your heart and mind to revelation that can help bring inspiration and peace. President James E. Faust once said, “It is a privilege to ask Deity for specific blessings.”1 Be specific in your prayers. 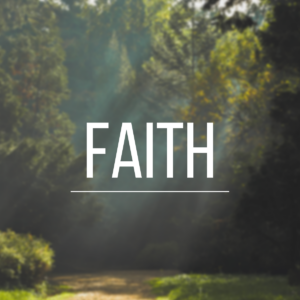 Specific prayers offered in faith often lead to specific revelation. Then, as you listen attentively to the conference messages and act on what you learn, answers will eventually come. 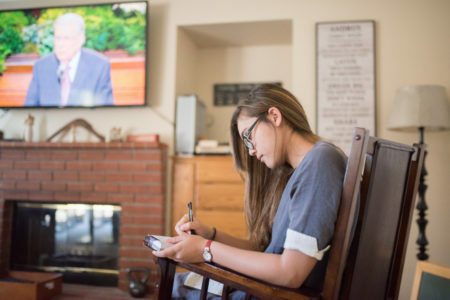 Watching general conference without distractions, such as your phone, social media, or even side-conversations, can free your mind to receive revelation. Distractions might cause you to miss important messages Heavenly Father has for you. Making conference your primary focus shows Him that you’re ready to learn and apply what you’re learning. Write down promptings you receive as you listen. When something a speaker shares sticks out to you, it’s often the Spirit guiding you to take action. Consider writing down ideas, promptings, and feelings that come into your mind and heart as you watch. These might be peaceful feelings, directions on how to improve, or promptings to help someone else. When you write these down, you can easily go back and remember what you learned and how you felt. General conference isn’t meant to be a one-weekend experience to be forgotten once the Sunday afternoon session ends. The divinely inspired messages can uplift and inspire you throughout the coming months and remind you of our commitment to follow Jesus Christ. After taking some time to ponder your notes, consider setting a few specific, achievable goals to apply what you learned. Review your goals and evaluate your progress often. We’re blessed to live in a time when the gospel of Jesus Christ has been restored and we can receive modern-day revelation through modern-day prophets and apostles. If we open our hearts to their messages, we will feel peace. 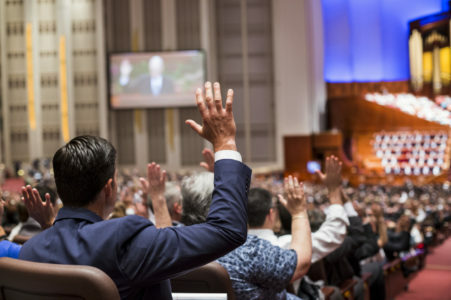 Be sure to watch general conference live April 6-7 at 10:00 a.m. and 2:00 p.m. (MDT/UTC-6) at ChurchofJesusChrist.org. We are blessed to receive modern-day revelation. After conference, share what you learned in the comments below! Comments on "Make the Most Out of General Conference"
This is great, and thanks once again.